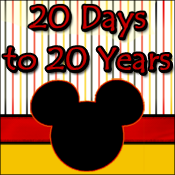 Disney Goddess: A Mickey Birthday Surprise! Oh those Imagineers! What geniuses! On December 6 last year (2012), Under the Sea with the Little Mermaid opened along with much of New Fantasyland. This was just a couple weeks after the birthday (or Anniversary) of one Mr. Steamboat Willie…AKA Mickey Mouse. 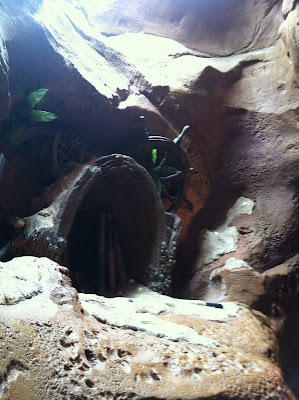 Little did I know then, that the Imagineers had planted a very special birthday surprise in the form of a very Magical Hidden Mickey! Come on! Let's discover what secrets lie under the sea! Our Journey begins on the morning of November 18. It is the day Mickey Mouse first made his public appEARance! It also just happens to be 37 days before Christmas, to those keeping track! We make our way to New Fantasyland. Ok, I admit, I scheduled a FastPass+ on my MagicBand for It's a Small World, first. THEN I beelined it to Under the Sea- I promise! I wasn't quite sure what to expect, so I got there early and hung outside like I was on some covert mission. Finally, my Mickey senses tingled and I went in. I had found the right area! It had nothing at all to do with the ten or so people who had already started lining up for this, most awesomest of Hidden Mickey's…really it didn't! T minus 10 minutes and we could already see the faint shape of ears beginning to emerge. A little background while we wait on these last 10 minutes: The light shines through a cut out in this area across from the wall where Mickey appears. An Imagineer very scientifically (almost Mayan-like in my opinion) figured out the precise location of the sun at noon on November 18 and then designed a cut out that would perfectly make a Mickey with the directed sunlight! Did I mention that this is genius? The area across from the wall where Mickey appears. The cut-out is located here. The time has come! Voila! 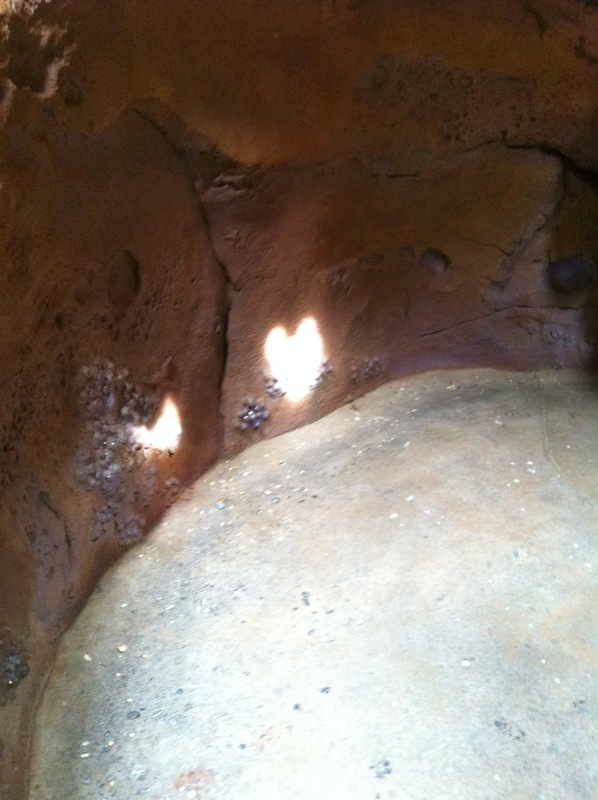 Super Rare, Sunlight, Mayan, Hidden Mickey! I hope to see you there next year! I'll bring the snacks. There were maybe 20 or so people who showed up specifically to see this event take place. As word gets out, I believe Disney will have to implement some sort of crowd control. This does happen in an actively working Queue! For the duration of about 15 to 20 minutes, those of us waiting were blocking and had to constantly wave people through. It worked out fine this year, but I fear an utter lock down is imminent. Perhaps a section could be roped off to help the flow better?